This book is narrated by Vera Harriss, a fourth grade teacher from Blevins, Maine, who is about to begin her 30th and last year of teaching as the story opens. As her story begins, it’s the first day of school in of fall of 1985. The starting bell hasn’t yet rung as Vera quickly introduces readers to her fellow fourth grade teachers: Deidre Fletcher, Mark Pettingill, and Stu Martel. We see each of them standing by their classroom doors, awaiting the arrival of their new students . Vera tells us that all are dedicated and caring teachers. 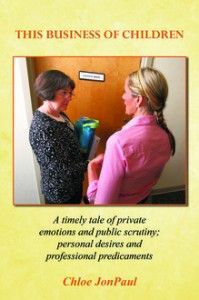 And then she drops her bombshell: Although none of them know it as they stand by their classroom doors waiting to greet their students for the first time, each will have their secret, private lives changed dramatically during the course of this school year. Do these changes have anything to do with the flight of the Challenger, with teacher Christa McAuliffe, the first member of the Teacher in Space Project on board? Or is it something more sinister? Deidre, an exceptional teacher, who’s just moved to Maine from a large, inner-city school down South will decide to quit teaching – a job she clearly loves – to become a corporate trainer. But why? Mark, the perennial job hunter looking for a corporate position with more prestige and pay, will turn down the perfect offer when it finally comes through. Again, the question is why? And Stu: What is the deep dark secret he’s hiding? After all, he’s one of the most popular teachers in the school. But who would have anticipated what will happen when he shares his secret with Deidre? You’ll not want to put this book down once you start reading it. And you won’t feel the same about teachers when you’re through. Though it\’s a novel, this book really pinpoints many problems that today\’s teachers encounter in their daily lives, both at school and home. In short, this page turner is potentially a life changer. Author JonPaul is a former teacher who turned to full-time writing after a thirty-five year career in the classroom, teaching every grade except kindergarten. Prior to publishing This Business of Children she wrote two non-fiction books. What Happens Next? was written for family caregivers faced with the difficult decision of placing a loved one in a long-term care facility. While Entering the Age of Elegance resulted from her worldwide discussions with women over our fears of aging. JonPaul truly believes in the mantra “the best is yet to come.” She says many of her best experiences came after she turned 55.